Ford invested $400,000,000 in its development and those were mid-5o’s numbers. Can you imagine what that would have taken in today’s dollars? Yikes. It would be enough to bankrupt a car maker. The Edsel is most famous for being a marketing disaster and the name “Edsel” became synonymous with commercial failure, and similar ill-fated products. Since the Edsel program was such a debacle, it gave marketers a vivid illustration of how not to market a product. The public also had difficulty understanding what the Edsel was, primarily because Ford made the mistake of pricing the Edsel within another of its car lines, Mercury and its market price segment. Theoretically, the Edsel was conceived to fit into Ford’s marketing plans as the brand slotted in between Ford and Mercury. However there became issues when it was priced to close to the best-trimmed Ford sedan and $63 less than Mercury’s base model. In its mid-range pricing, Edsel’s Pacer and Corsair models were more expensive than their Mercury counterparts. Edsel’s top-of-the-line Citation four-door hardtop model was the only model priced to correctly compete with Mercury’s mid-range Montclair Turnpike Cruiser model. The Edsel was produced from 1957 to 1959 although some models were manufactured that borrowed heavily on other Fords and most notably the horse collar grill. 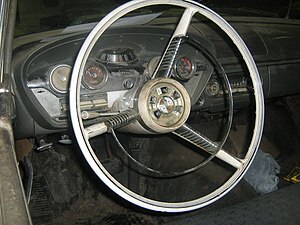 The Edsel did however offer several innovative features, among which were its “rolling dome” speedometer, warning lights for such conditions as low oil level, parking brake engaged, and engine overheating, as well as its Push-button Teletouch transmission shifting system in the center of the steering wheel. Other unique features included ergonomically designed controls for the driver and self-adjusting brakes, offered such advanced safety features as seat belts (which were available at extra cost as optional equipment on many other makes) and child-proof rear door locks that could only be opened with the key. I remember my dad taking me down to the dealership when I was a kid and vividly remember the push button transmission shift. Even though the car bombed, more than a half a century after its spectacular failure, the car has become a highly collectible item among vintage car hobbyists. 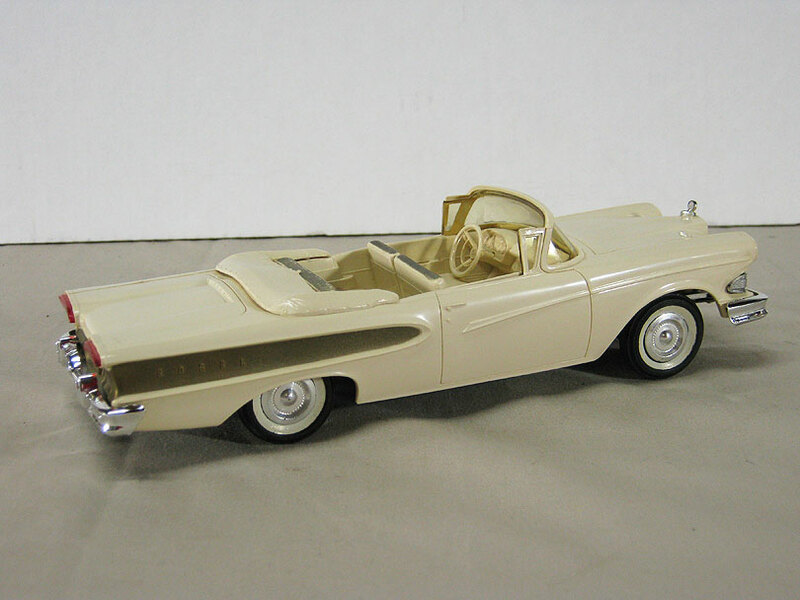 Fewer than 10,000 Edsels survive and are considered valuable collectors’ items. A mint 1958 Citation convertible or 1960 Ranger convertible may sell for over $100,000. 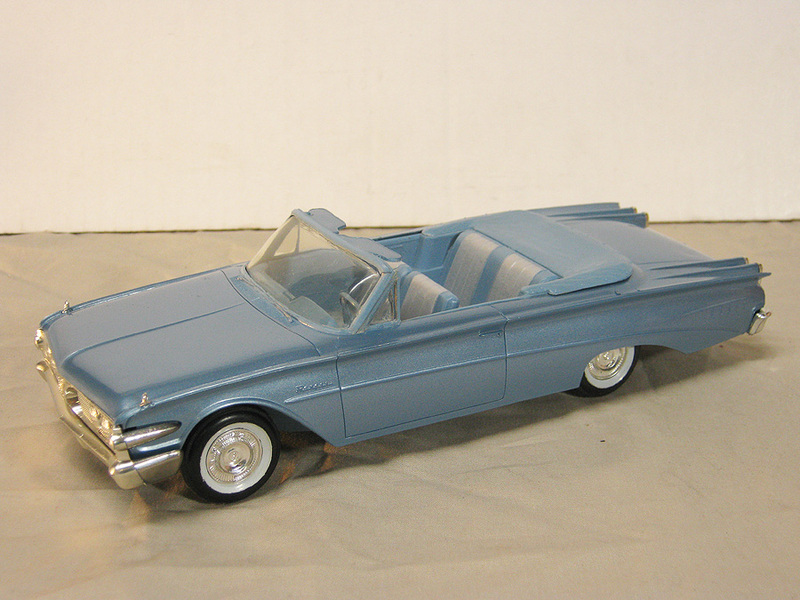 Plastic scale models of all three Edsel years were produced by AMT, in its usual 1/25 scale. Both promotional and kit versions were sold. 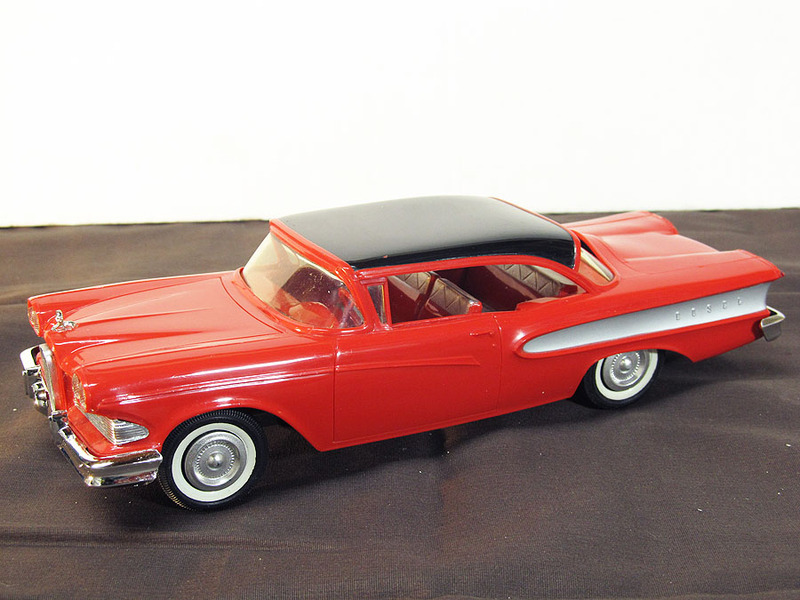 The promo models are also considered valuable collector cars and they command premium prices today, especially the rare 1959 and 1960 models. Because of the way the models were molded, there can be some warping, especially on the earlier models. These images are from Wheat’s Nostalgia and were priced anywhere from $80 to close to $200. Not a lot of money for holding a piece of automotive history in your hand.